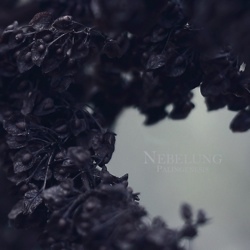 German acoustic dark folk band Nebelung has announced the release of its second full-length album “Palingenesis” via Temple of Torturous. The album will be released in 3 different editions: CD in a 3-panel digifile with hot-foil embossing, double black LP in a Gatefold sleeve with printed inner sleeves, limited to 400 copies and double clear LP limited to 100 copies. CD edition will be out on February 18th and both vinyl editions on March 18th, 2014. The band has already revealed the cover artwork by Sphæra Satvrni Art, the album tracklist and the official video for the song “Mittwinter” that you can watch below. Derived from the Greek words for ‘birth’ (genesis) and ‘again’ (palin), the term Palingenesis refers to a variety of concepts of rebirth and recreation, ranging from the stoic idea of the continuing recreation of the cosmos, the christian belief in spiritual regeneration through baptism, or the originally Pythagorean concept of the souls’ transmigration into a new body. Nebelung take up the energy behind these concepts, using them as archetypal images for mans’ eternal strive for spiritual perfection in a meditation on death and decay, transformation and renewal. More than two years on the making, the release of “Palingenesis” defines a new era for Nebelung. Where its predecessors had been singing the hymn of autumn and night by the means of simply structured melancholic folk songs, “Palingenesis” takes on a different approach, transcending the boundaries of lyrics and song, sparing light and reason, and letting the music take on a direct and unaltered way to the depths of the subconscious. “Palingenesis” is a deep and transforming listen, with tracks built up like Mantras, tucking the listener into a dense and detailed tapestry of subtly woven, intertwining melodies and drones, rich in detail and structure, and incorporating such a variety of acoustic instruments as both classical and steel stringed guitars, cello, accordion, Indian harmonium, hammered dulcimer, glass harp, percussion and voice.